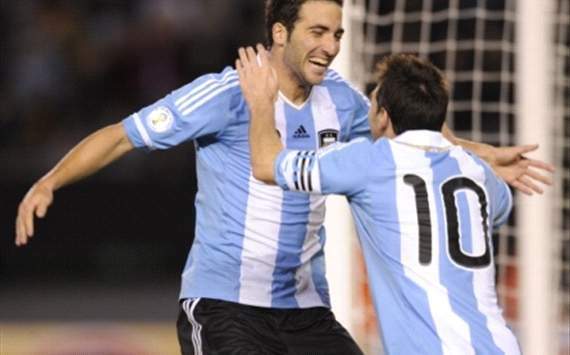 Real Madrid striker Gonzalo Higuain feels privileged to play alongside Barcelona star Lionel Messi for Argentina’s national side. Higuain has nothing but praise for his compatriot, and believes it is nearly impossible for a defender to anticipate what the Barca man will do with the ball at his feet. “I’m a forward and I have the chance to play with Messi. It’s a privilege to play alongside him,” Higuain told reporters. “Every time he gets the ball you need to be on your toes because you know that at any moment he can give you a great ball or pull your marker away from you. This entry was posted in News on 12/10/2012 by mirsinho.